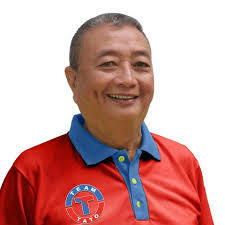 NAGA CITY (Bicol Standard) – Naga City mayoralty aspirant Tato Mendoza lashed at the administration of the Naga City government, which has failed to address the rising criminality in the city. This after Naga City was again named number one for having the highest average monthly crime rate in 2018 among 36 chartered cities nationwide, according to the Crime Research and Analysis Center of the PNP Directorate for Investigation and Detective Management. “How could you claim that there is progress, when the peace and order situation continues to deteriorate?” Mendoza asked. “Nag abot na guiraray an oras na napatunayan kan presenteng administrasyon an kawaran kakayahan sa pag-patalubo kan Naga sa mas halangkaw na pagheling,” he said in Bicol in his official statement. Interviewed by the Bicol Standard, Mendoza noted that this early, he could not yet say what course of action he will take if elected mayor, as he has not seen the data. “But definitely, peace and order will be one of my top priorities,” he added. Naga City had an average monthly crime rate of 218.16 for the year 2018.